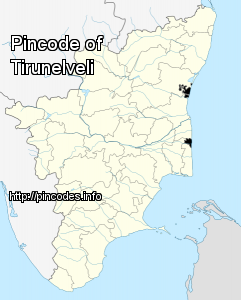 Tirunelveli �pronunciation�), also known as Nellai and historically (during British rule) as Tinnevelly, is a city in the South Indian state of Tamil Nadu. It is the administrative headquarters of the Tirunelveli District. It is the sixth-largest municipal corporation in the state (after Chennai, Madurai, Coimbatore, Tiruchirappalli, Salem). Tirunelveli is located 700�km (430�mi) southwest of the state capital, Chennai and 58�km (36�mi) away from Thoothukudi. The National Investigation Agency had arrested Subahani Haja Moideen from Tirunelveli in Tamil Nadu with the help of central security agencies. A 40-year-old man was hacked to death and two others were injured allegedly by some unidentified in a running bus near Tirunelveli.